Here in Baltimore no one has any doubt what war we are commemorating. As summer slips into fall one celebration after another will remind us of the events two hundred years ago that gave us our anthem, our pride and our continued independence. As most of you know, JMM is a part of these festivities, honoring our own favorite Ft. McHenry defender, Mendes Cohen. However, in much of the world the war being remembered this year is a century later. On July 28, 1914, the Austro-Hungarian Empire declares war on Serbia, the first in a series of domino triggers that will take the world into its first global maelstrom. Within a month of the outbreak, futurist H.G. Wells had already published an article declaring that this would be “The War that Will End War”(it’s ok, we also don’t have time travel yet…or a Martian invasion). The war would be twice tragic for the Jewish people. First in the loss of life of soldiers drawn to patriotic duty at the early stages of the conflict and second in the inflammation of prejudice as pundits and politicians throughout Europe looked for a scapegoat for their ill-fortune in the fight. When I was at the Jewish Museum of London this spring, I had a chance to see the exhibit “For King and Country? 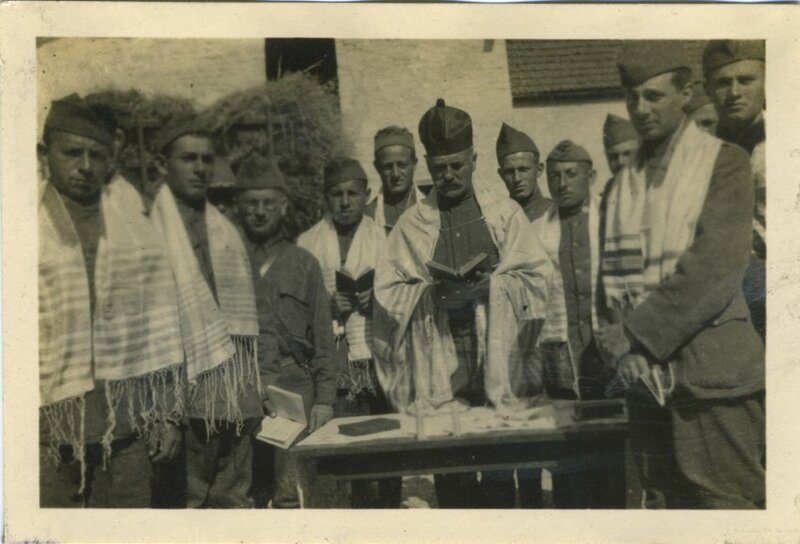 : The Jewish Experience of the First World War”. As the “?” in the title implies there were a lot of ambiguities in the Jewish response to the conflict. After all, many English Jews of the period were recent refugees of lands controlled by Russia and they did not necessarily favor a victory for the Czar, even if he was allied with Great Britain. 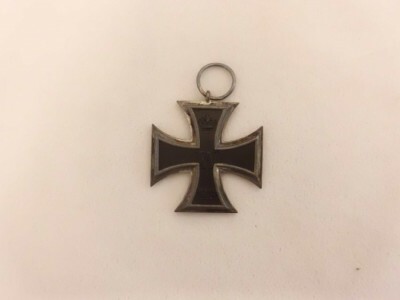 Moreover, reflecting the relative size of Jewish populations, more than twice the number of Jews fought for the Central Powers (Germany and Austria) as for the UK and France. 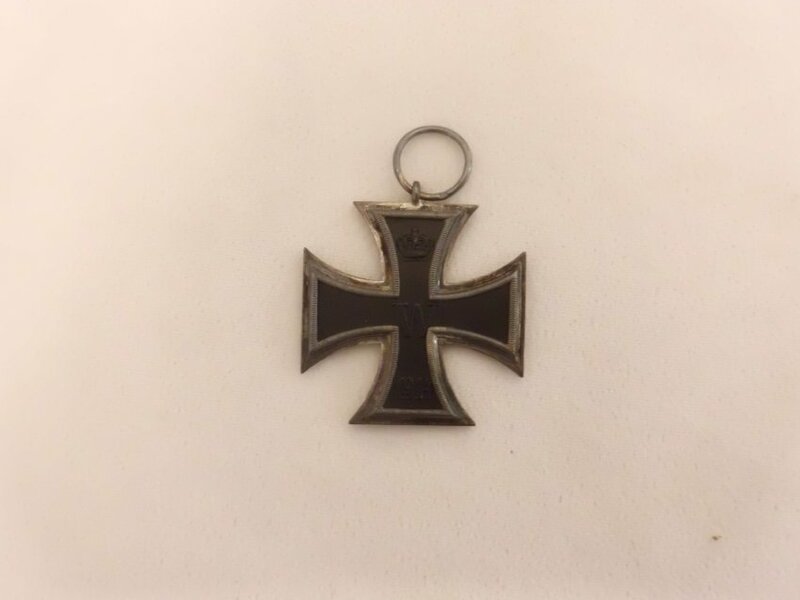 In our collection at JMM we have several medals acquired by Jewish soldiers in the service of the German army, carried with them when they were forced to escape on the eve of WWII. In fact, quickly browsing our collection, it becomes obvious that Baltimore Jews played important roles in the war. 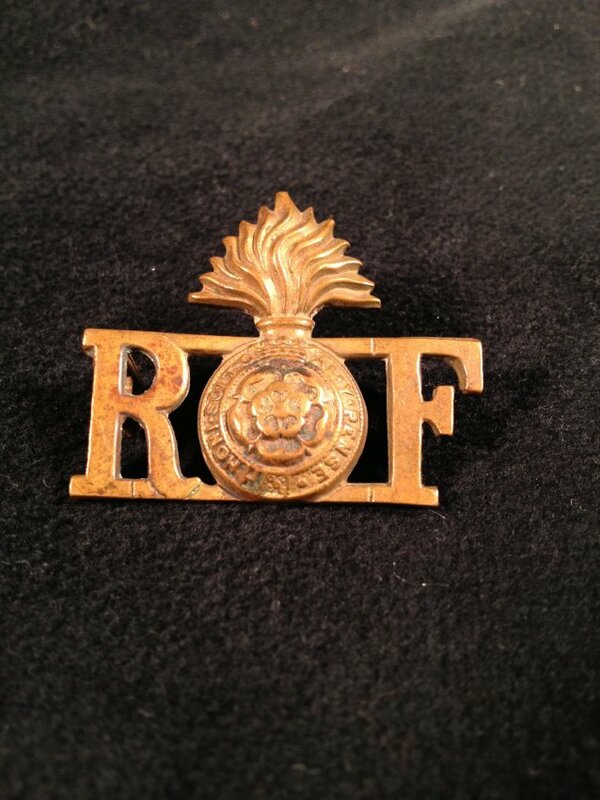 Even before the doughboys went to Europe, the British Royal Fusiliers had begun recruiting American volunteers. In particular they sought out Jewish young men who wanted to be sent to the front to face the Ottoman Empire in Palestine. We have just one WWI uniform in our collection, but it unites two prominent Baltimore families. 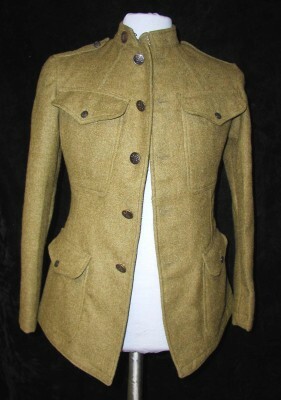 This coat belonged to Lester Levy, hat maker and civic leader. Levy, who had ambitions to fight in France, had been turned down by the Army for his poor eyesight. Although he eventually got a waiver from the US Attorney General’s office, he was assigned to ordnance and never actually went overseas. And the other prominent Baltimore family? Well, the coat was manufactured by Henry Sonneborn & Co. 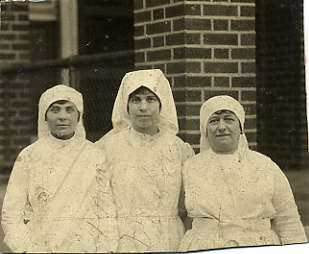 The collection also contains quite a few photos from the war effort. 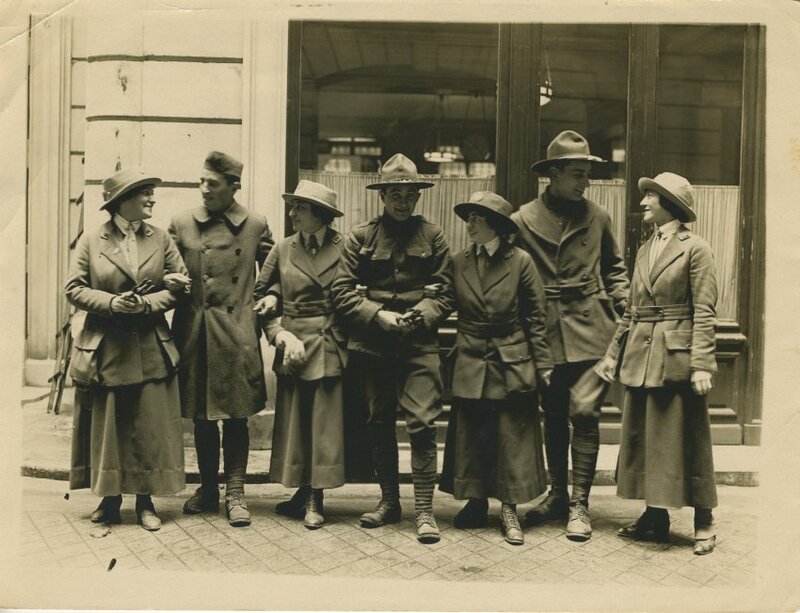 As Jennifer Vess wrote in this blog several years ago, the role of women in WWI including not only the nurses but other participants in the combat support effort is particularly well documented in our holdings. 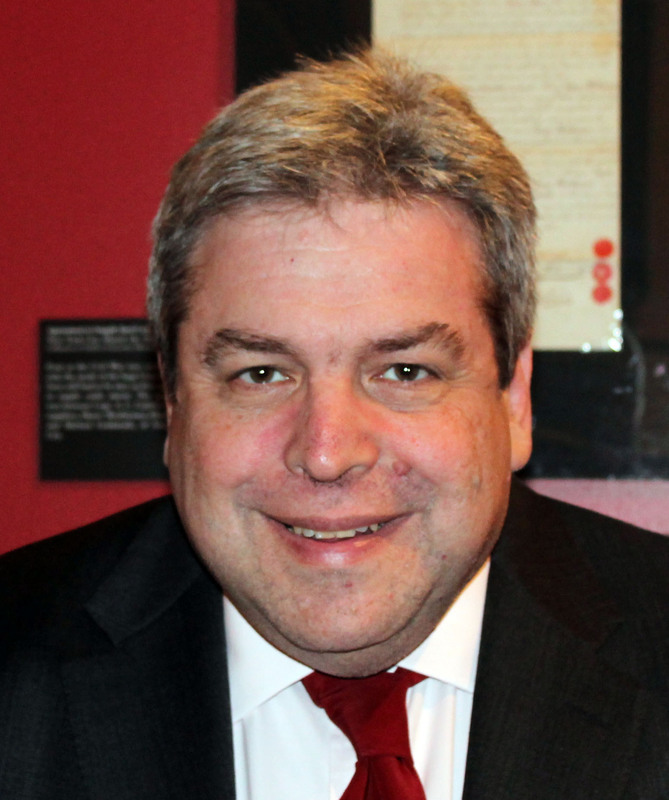 A blog post by JMM Executive Director Marvin Pinkert. To read more posts from Marvin click HERE.